What's 3 'B's and 3 'I's? 2. With man (other human beings, male or female). This reminds me of sheep flocks. Sheep are found in flocks because its their nature to stay in a flock. A strayed sheep is pitiful. It loses its sense of direction, purpose, and security. Worse, it may get killed if it strays too far away from the comfort and security of its flock. Remember the story of Cain who murdered his brother Abel? Cain talked back to God arrogantly, "Am I my brother's keeper?" after the murder. This is what we called the way of Cain. We all are and should be our brother's keeper because we're always be in relationships with males and females. The way of Cain leads is the way of Individualism, Independence, Isolation (3 'I's). The way of a brother's keeper is Bond, Bless, Build (3 'B's). Do you see the contrast? Sheep, by nature, bonds and stay in the flock. 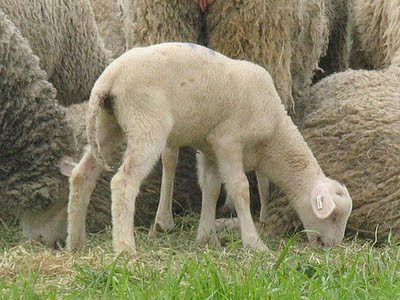 As Christians, typified by sheep, we can't live alone. It's almost impossible. We need to bond with fellow Christians - whether cellmates, church mates or even colleagues - and we bless one another so that we're built together. This is when we regain our sense of direction and purpose of life. This is the way of a brother's keeper, not the way of Cain that the whole world is taking today.